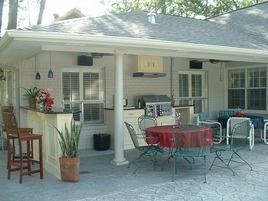 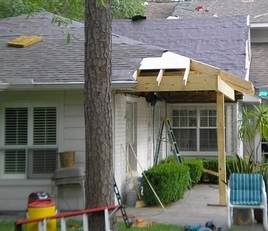 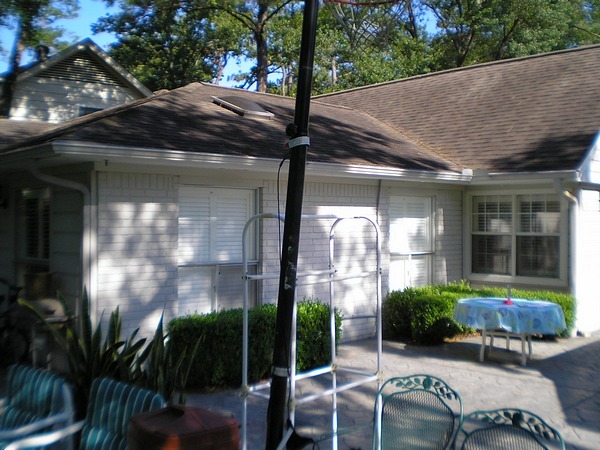 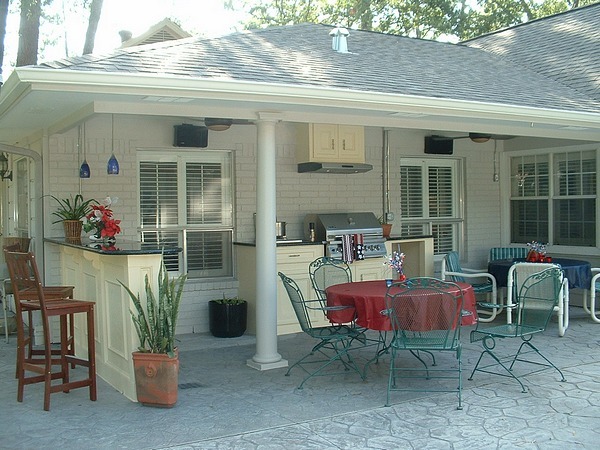 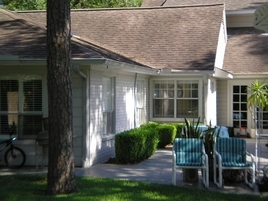 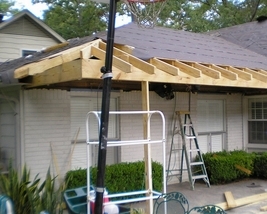 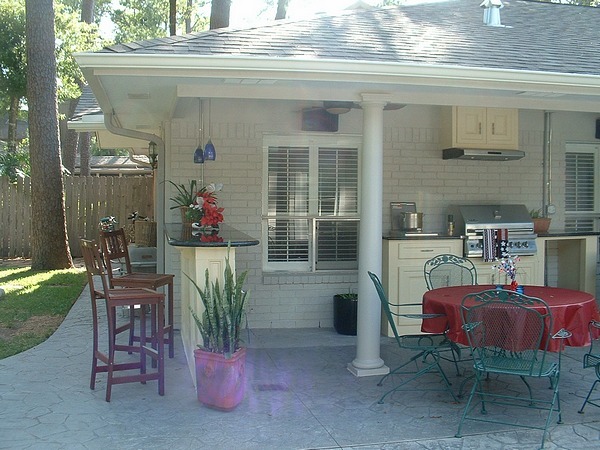 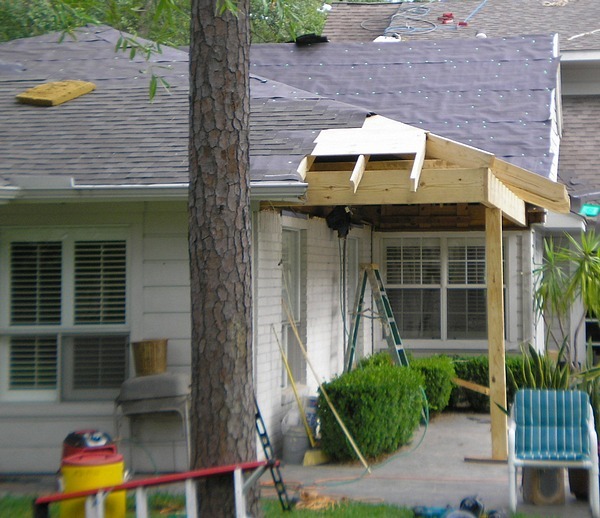 In this outdoor kitchen design project we extended the roof to create additional patio coverage. 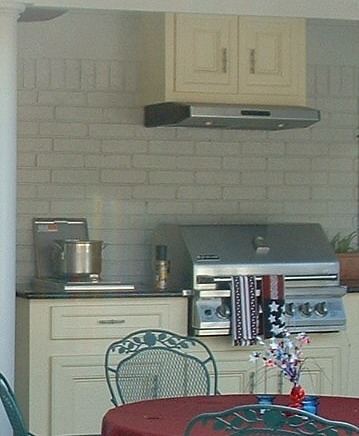 For this home improvement we built and installed custom cabinets and an exhaust vent for a gas grill that included a side hot plate. This outdoor kitchen design also comprised additional seating that was provided by the custom bar, at left, which also had drop down lighting furnished. 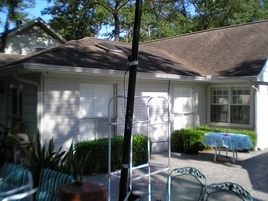 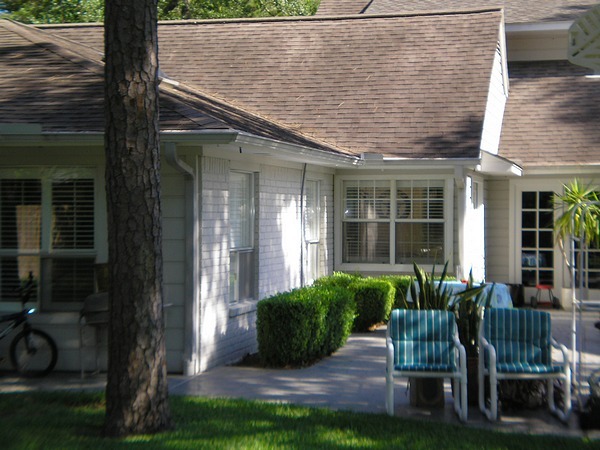 Lighted ceiling fans were put in to provide a comfortable breeze. 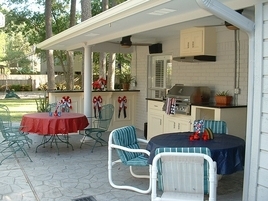 Outdoor Kitchen Gas Grill, Cabinets, Granite Countertops, Exhaust Vent and Side Burner. 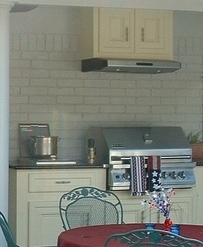 New Gas Grill with Side Burner, Cabinets and Exhaust Vent.